Vendedy is a network that connects travelers to local street market foods and products. 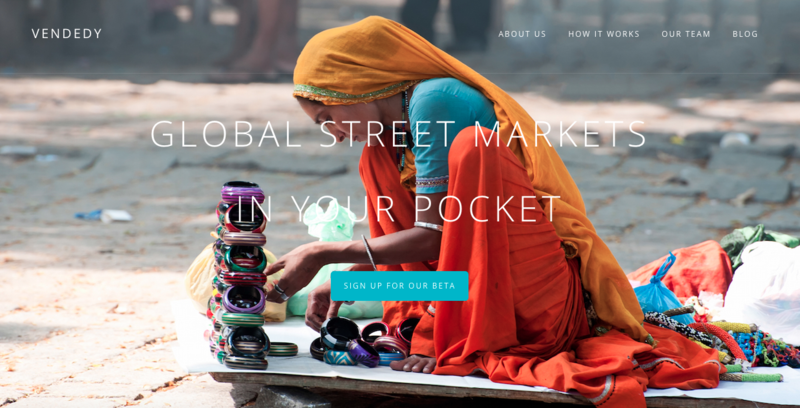 The company aims to digitize the $10 trillion dollar street economy that contains a market size of 2 billion street vendors and 1 billion tourists annually. The founder is the daughter of three generations of Haitian female street vendors. Her mother continued the tradition in the streets and flea markets of New York City until she opened a boutique in 1998. Haiti’s 2010 earthquake disrupted supply access to artisan designs and led to an abrupt shut down of the business. This tragedy inspired the concept of Vendedy as the founder walked through the Haitian Capital and found vendors on top of rubble street vending for survival. It was at that moment that she pursued a 5-year agenda to digitize the street vending industry and make it a global conduit of prosperity. (Problem) 2 billion people live in poverty and many make a living as street vendors due to limited employment. These street vendors have inconsistent access to global consumers despite the fact that over 1 billion people travel annually as tourists, volunteers, students and for business in search of products that represent authentic experiences abroad. With limited options, travelers purchase local products & souvenirs at hotels, boutiques, airports & malls, at high price markups. As the world moves towards bridging developed and emerging markets, we find that access to many products is now digital. 1/3 of the world’s supply market, including bazaars, souks, and street markets is isolated from the digital landscape. (Solution) Vendedy has taken on the mission to bridge that gap globally. For the first time, street vendors, locals and travelers alike can upload photos of local street markets so that other people can access shop for street products instead of overpriced alternatives. Furthermore, Vendedy is the first central hub for anything street. Currently, to find the best street markets one has to research the top 10 lists across multiple tourists sites. Now they can see user uploads and top favorites based on upvoting and shares.